The sad truth is that your competitors are out there and they are hungry for your customers. We know that you already have so much to do to keep growing your business, so let us take care of doing the research that can draw customers to your business! 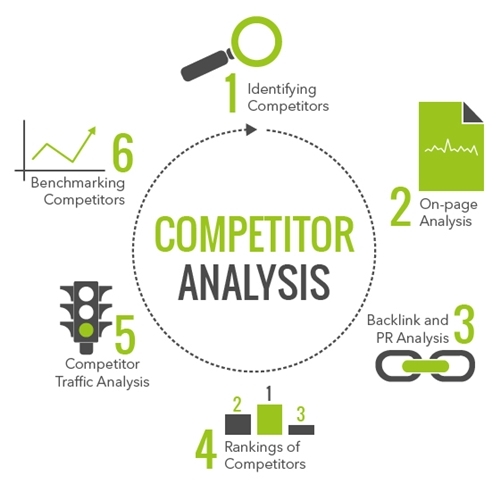 Keeping tabs on your competitors and the market is the best strategy for growing your business. Competitor and market research is the assessment of the environment in which your business functions. Current and potential competitors, as well as customers, are researched and monitored and the potential threats and opportunities are focused on. Conducting a competitive assessment should be an ongoing process. When continuously monitoring your competitors, and researching the market in which you conduct your business, you get to know your competitors and customers behaviour. You find out what works, what doesn’t work, what gets the most interaction and what reaches the market. Trust Fuzion Digital to do this for you! At Fuzion Digital, we don’t just hit up Google and search through the thousands of results, we delve deeper into the depths of the market. With a strong focus on online media and marketing trends, we know what is happening in various markets. With the data and the insights that we filter through, we can anticipate what your competitor will likely be doing next, therefore, we will be able to keep your business ahead of the trends before they are even thought of by your competitors. We identify the content that will resonate with your customers. Your business will gain the necessary competitive intelligence to make it stand out from the crowd! Trust us to do the hard work and research the market – we have our ears on the ground – ready to innovate the market. Whatever your niche in the business market is, Fuzion Digital will get through to your target audience!